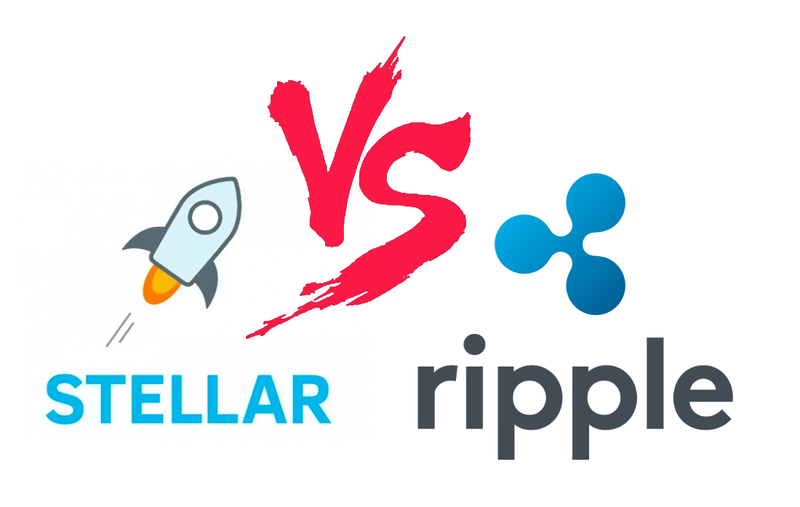 Stellar Lumens (XLM) and Ripple’s (XRP) are two digital assets that share a common background in that they were both created by the same person—Jed McCaleb. This leads to a few obvious similarities. However, the two cryptocurrencies also have fundamental differences that the public should know. Until 2013, the American programmer McCaleb was a serving member and CTO of the Ripple Company. In 2014, he founded Stellar together with Joyce Kim, to facilitate an easy and cheap exchange of digital assets. The Stellar Network is open-source software that operates under Apache License. Users can integrate with the free-to-use network via APIs available on its website. Ideally, the Stellar network is faster, taking between 2 and 5 seconds to seal a transaction. It operates on a consensus mechanism, which solves problems by reaching a consensus on the network. Importantly, Stellar targets individuals as its user base. The Ripple Network targets financial industries as its user base. The network aims at engaging regulators, central banks, and treasuries from different countries all over the world. Ripple Network is more centralized than Stellar. To begin with, both XRP and XLM coins function in a similar manner based on their payment processing mechanism and the native assets involved. However, each cryptocurrency has its distinct properties that separate one from the other. XRP focuses on the blockchain-based global transfer of money, which makes it function more like the Western Union, Moneygram, and others that transfer fiat currency internationally. Both cryptocurrencies share a similar goal of connecting the global banking industry to make it more efficient. Many people believe that owing to the shared background, Stellar XLM was a fork of Ripple’s XRP and therefore functions like it in every way. This is misleading, as each cryptocurrency operates on a distinct code. While it originated from Ripple, Stellar developed its own code after its launch, which separates it from XRP. Both digital assets have conveniently curved their niches in the money transfer industry, with Ripple facilitating fiat money transfer between financial institutions. Stellar, on the other hand, functions as a means of digital asset transfer between individual users. Ripple was designed as a for-profit network that conducts currency transfer. The digital coin XRP is a store of value that users can utilize to facilitate payments. It is the third largest cryptocurrency in terms of market cap, a position it has maintained for quite a while. Ripple focuses on connecting banks, businesses, exchanges, and other payment platforms through its RippleNet network. The network currently has more than 100 banks under its belt. Some of the institutions already in the fold include Bank of America. Stellar, on the other hand, though providing payment services, works under the Stellar Development Foundation, a not-for-profit organization. Stellar Lumen (XLM) has a market cap of over $4.2 billion, making it the sixth largest cryptocurrency. While Ripple champions an ambitious cause, Stellar embraces a selfless move with the aim of empowering users in undeveloped countries. It targets the unbanked communities that cannot access money transfer services. This, in turn, improves financial inclusion and helps fight poverty in the end. Stellar currently works with partners in the Philippines and Europe in a bid to support its robust objectives. The foundation plans to extend its services to the African continent in the near future. The network’s open-source code is open to anyone to modify or distribute. In addition, the company culture of both companies is different. The Ripple community employs nearly 200 staff while Stellar is conservative and works with about 20 or 30 professionals. While Ripple staff is concerned about marketing, Stellar utilizes third-party developers. These operational differences separate the two cryptocurrencies considerably. Apart from the operational differences, both XLM and XRP have technical differences as well. For example, Ripple utilizes the proof-of-correctness consensus with an independent server network that validates transactions. On the other hand, Stellar, equally a non-mineable coin, is more decentralized than Ripple. With a culmination of operational, technical, and protocol differences, the two platforms work towards the adoption of blockchain technology and innovation. Both Stellar XLM and Ripple’s XRP aim at solving real-life problems and contributing to the cryptocurrency community.